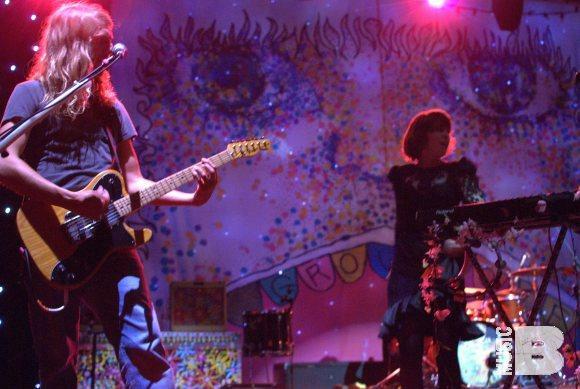 Exciting, colorful, and energetic are just a few words to describe Grouplove's performance last night at Webster Hall. The crowd generated a massive wall to wall dance floor as they were singing along. Check out some pictures from the show below. The Los Angeles-based collective has only one album out, Never Trust a Happy Song, which is just as enjoyable as their performance. The bands popularity has grown rapidly within just the past few months as they have been featured on popular radio stations and in a handful of commercials. The future for this creative and entertaining band is definitely on the move.